I think we can all agree, Google’s stategy is always a long tail one. This school year millions of college students and staff returned to campuses to continue the process of the next generation of young professionals growing up Google. “Growing up Google” was a phrase we coined two years ago when we waited patiently for Google Buzz to embrace Google Apps users. That began with top Ivy League schools like The University of Notre Dame switching to Google Apps for Education. It used to be that a college student went off to school armed with a Mac or a Windows machine with Microsoft Office installed as a college prerequisite. Much like my early computer experience, it was a Microsoft one. Today, it takes no more than any modern browser and that means even Internet Explorer 9. So, while Office spreadsheets still are vastly more powerful than online spreadsheets and no speaker in his right mind will show up to a show expecting to display his PowerPoint presentation from an online source like Google Docs, the thumbdrive is still king. But this summer when I spoke numerous times, I created my bullet points using Google Docs and Gdrive and exported such in PPT format to my thumbdrive. Laptops take a beating on the road, so I had set up my entire needs on Google Drive. Makes sense this will work massively well for the next generation of Google users that work from the cloud exclusively. Currently, it is a must for writers publishing thru any publishing house to create each chapter in Microsoft Word, then bounce attachements back and forth between up to five editors from acquisition, assigned editors, the technical editor to the final production staff. But even that is changing now too, and it is changing at the college level as I saw today in this Google+ post via ReadWriteWeb. That change has occured as skilled writers and corporate collaborators grow up using these tools every day and that usage is growing quickly. Growing up Google in fact. 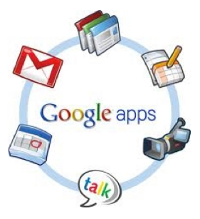 More than 20 million students, faculty and staff worldwide use Google Apps for Education. Bottom line, this is like what any new product does, kinda like tobacco companies in the 70’s. Get the youth hooked and wait for the naysayers to retire from influence. Just like Facebook did by starting with colleges in the prior decade. This entry was written by Chris Lang, posted on October 2, 2012 at 11:25 am, and filed under Gdrive, Growing Up Google and tagged google apps for education, growing up google. Notre Dame is not an Ivy League school. You should edit that mistake out, if you have the time. Put me in the “It WILL work…” camp. The increasing, and increasingly integrated range of products and services offered by Google puts them in an extremely strong long-term position. In 10 years Zuckerberg will be lucky to have the status Yahoo has today. The higher the top, the bigger the drop, particularly if you’re balancing on a narrow, base.